Jay-Z once famously rapped, “I’M NOT A BUSINESSMAN, I’M A BUSINESS, MAN.” In truth, he’s both. Not only does Jay-Z own a chain of sports bars, but he is a Hollywood producer, founder of Roc Nation and even a business consultant for Budweiser. Thanks to his tenacious personality, his successful rap career, and a lot of side hustles, the musician Jay-Z has an estimated net worth of £630 million ($810 million), according to Forbes Magazine in May 2017. Jay-Z was born Shawn Corey Carter in 1969. He grew up in Marcy, a housing project in Brooklyn that was violent. Guns were everywhere. Access to guns was so easy, when Jay-Z was 12, he shot his brother who was addicted to crack for stealing his ring. In 1982, Jay-Z’s father left and his mother had to support her family alone. It was by following her example that Jay-Z got his unrelenting work ethic – his hustle. There weren't a lot of opportunities for an ambitious black kid like Shawn. Given the choice between applying for a job at McDonald’s or becoming a drug dealer, he chose selling drugs, which was the definition of a hustler. Now Jay-Z runs legitimate businesses instead of selling illegal drugs, but he’s still got the energy of a hustler. More than anything else, that has been the engine behind his success. However, it takes great business acumen to go from street hustling to owning a piece of the Brooklyn Nets and being married to one of the world’s sexiest and most powerful females, Beyonce. Jay-Z didn’t have a drum kit or Pro Tools growing up, but that didn’t stop him from making beats to rap over. Pounding on the kitchen table was a good enough beat-maker to practice to, though it annoyed his siblings. Haters are gonna hate. The world is full of judgmental people, naysayers, and people who just don’t really care about what you have to say. Sharing your dream with the world, gives a lot of people the opportunity to talk you out of your dreams. If you have a dream, let your actions speak louder than words. Work on your dreams instead of talking about them. Jay-Z was turned down by every label in the industry. So did he give up on his dream of becoming a professional rapper? No. He started his own record label. Jay-Z was offered a weak endorsement deal from Iceberg Apparel, even though Jay's shout-outs for the clothing company were boosting their sales through the roof. So did he accept their offer? No. He started a competing clothing line and sold it ten years later for $200 million. Jay-Z has an amazing knack for bouncing back from rejection. We would all benefit from adopting this mindset. The reason a million dollar mogul starts a blog is because he is smart enough to know that because he already has influence, a blog will further help him expand his audience and that influence. There is nothing too small when it comes to promotion. Every audience member counts. A blog is a great way to express your ideas, build your brand and influence and improve your bottom line. In 2008, US presidential candidate Barack Obama asked Jay-Z to help support his campaign. Jay put on a series of concerts to get out the vote. Just like that, Jay-Z had helped elect the first black president in United States history. If you are comfortable in humble conditions, or you don’t mind sharing a studio apartment with four other guys, you are never going to have the fight you need to break out of poverty. You got to hate being poor to make the sacrifices necessary to become successful. Becoming successful means giving up distractions like chasing girls and doing drugs and focusing. It means waking up early and doing the seemingly impossible day after day. Don’t get stuck on one thing. Rap music is about diversity and so is life. To find your genius level talent, you can’t do what everyone else is doing. If you do the same thing over and over you will get the same results over and over. You have to try new things in life, especially when you realize something isn’t getting you the results you want. The real moneymaker for the NYC rapper comes from expanding his entertainment company Roc Nation into the sports management world. Jay Z used his incredible celebrity status and influence to draw in high profile athlete like Robinson Cano, inking a $240 million contract with the Seattle Mariners (much to the chagrin of Hova’s beloved New York Yankees) and engineering Kevin Durant’s new $300 million deal with Nike. If Jay-Z would of just stuck with rap, he wouldn’t be so rich and known as a business man. As we already discussed, Jay-Z has an estimated net worth of £630 million ($810 million), according to Forbes Magazine. 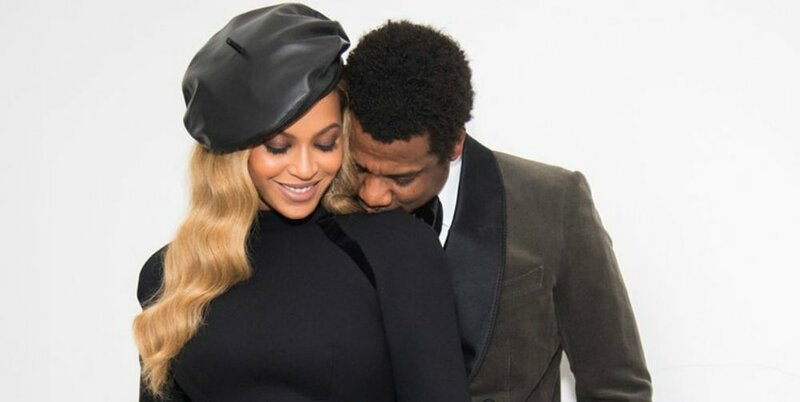 In May, the magazine reported his wife Beyonce is worth over £272 million ($350 million), meaning their net worth as a couple broke the $1 billion dollar mark at $1.16 billion. This couple is not only a match financially, but ethnically, musically, and culturally. It makes sense that these two are together. 2) MENTOR OTHERS: WINNERS LISTEN TO WINNERS! Jay-Z has gone on to become a mentor, helping to launch the careers of Rihanna, Rita Ora, Willow Smith and even Kanya West. Once you find your genius level talent, you have to believe in yourself so hard you never quit. If you do not remain true to yourself, you will never become who you are meant to become. We all have a destiny, but we live in a world where people are afraid to be themselves because of the fear of rejection. It is better to be alone than stand with a crowd that forced you to get rid of your interests, style and manners to be a part of their group. You don’t need to change yourself. You need to change your crew.